Less to be more for Apple's simplified iWatch? 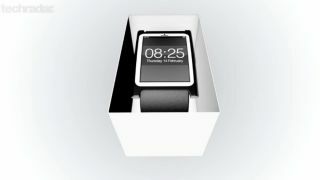 The iWatch rumors of the last few weeks have made the unannounced wearable sound like an uncompromising exercise gadget, but a new report dials back the speculation. Apple doesn't intend to make its smartwatch a primary device, according to MobiHealthNews. Instead, it'll remain a peripheral that lacks embedded celluar and WiFi technology - meaning that its only way to communicate with your iPhone would be through Bluetooth. That's reasonable, as that's the current state of affairs for rival fitness gadgets like the Fitbit Force, Nike FuelBand SE and Jawbone Up. Battery life would be depleted far too quickly to maintain such connectivity. The iWatch may not include all of the overblown sensors mentioned by previous reports either. This includes the far-fetched hydration and glucose sensors we doubted earlier in the month. Apple is more likely to calculate metrics like calories, not its own version of Nike Fuel, and leave the glucose measuring up to the Google smart contact lenses. The rumored Healthbook app that's supposed to be part of iOS 8 is being backed up by the MobiHealthNews, except when it comes to the name. While the publication's sources haven't heard of the Passbook-like name before, its health and fitness features did ring a notification bell for the insiders. Healthbook is said to be more conservative in that is keeps track of exercise, diet, sleep, stress and medication adherence. It may also include women's health and pregnancy-tracking features and chronic condition management features via third-party FDA-cleared medical devices. Dialing back the rumored iWatch sensors may be wise given the fact that it's reportedly facing battery woes in the run up to the wearable's announcement.